Please use the links on the left to locate the resource link to some of the most common websites. The Links section contains many links to other websites, and it is divided by categories. The categories of links are: bar associations, clerks of court, codes, courts, government agencies, legal research sources, libraries, news, paralegal associations, professional directories, property appraisers, reference sources, rules, and tax collectors. 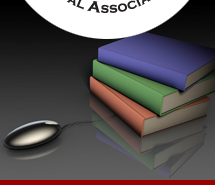 Thank you for using the Southwest Florida Paralegal Association, Inc. website as your source for legal information!